John Button, the father of Formula 1 driver Jenson Button who enjoyed success in his own career in rallycross, has passed away. He was 70. "It is with great sadness and regret that I can confirm John Button passed away at his home in the south of France on Sunday," Button's management team said in a statement. "Whilst we await confirmation, initial signs would indicate a suspected heart attack. A close friend who was visiting John on Sunday was the first to discover the tragic news. "John's children Jenson, Natasha, Samantha and Tanya and the rest of the family are clearly devastated and ask for their privacy to be respected during this extremely difficult time." 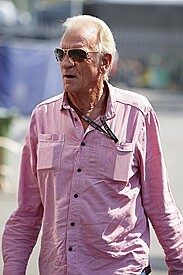 Having become a near ever-present during his son's grand prix career, John was a hugely popular figure in the F1 paddocks over the past 15 years. 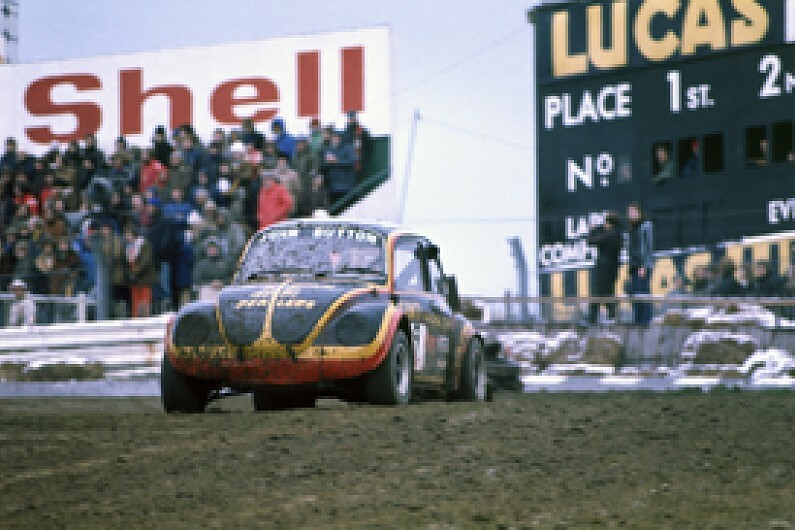 John's passion for motor racing had been with him throughout his life, having competed successfully in rallycross during the 1970s. It was natural for him to push his son Jenson - named after rallycross friend Erling Jensen - into motor racing when his own career ended, and John became a strong force in helping Jenson reach the very top. John missed only one of Jenson's F1 races but, as well as being his son's biggest fan, it was his enthusiasm for motor racing as a whole that really shone through. McLaren team principal Martin Whitmarsh, who got to know John well since signing Jenson at the end of his title winning 2009 campaign, was one of the first to offer his condolences. "In my long Formula 1 career, I've encountered many drivers' fathers, but I think it's safe to say that John was perhaps more devoted to his son than any of them," said Whitmarsh. "Ever since Jenson was a boy, racing go-karts, his dad has been at his side, helping him, supporting him, finding the money for the next race. "As Jenson grew older, and continued to win in cars, still John was always there, his most steadfast helper and supporter. "And, even now, in recent years, during which Jenson has become the consummate Formula 1 world champion that he is, the most experienced driver on the Formula 1 grid in fact, still John has been ever-present, as loyal and as loving as ever, a benign and popular member of Jenson's small and intimate entourage. "This coming season will be Jenson's fifth as a McLaren driver. I believe John has attended every grand prix over the past four seasons, and over that period he's become a unique and, I think it's fair to say, irreplaceable part of the McLaren 'family'. "He was not only a great dad, but also a lovely man, and he'll be enormously missed by Jenson, of course, by all at McLaren, and indeed by the Formula 1 community at large. "I'm sure that everyone at McLaren, and indeed everyone in Formula 1, will join me in sending our heartfelt condolences to Jenson, to the Button family, and to their many friends."